By the time you read this Edita and I will be somewhere in the Helambu region of Nepal, an area of low-lying hills and terraced fields north of Kathmandu. Our destination is the Langtang Valley, which until recently was Nepal’s third most popular trekking region, after Everest and the Annapurnas. 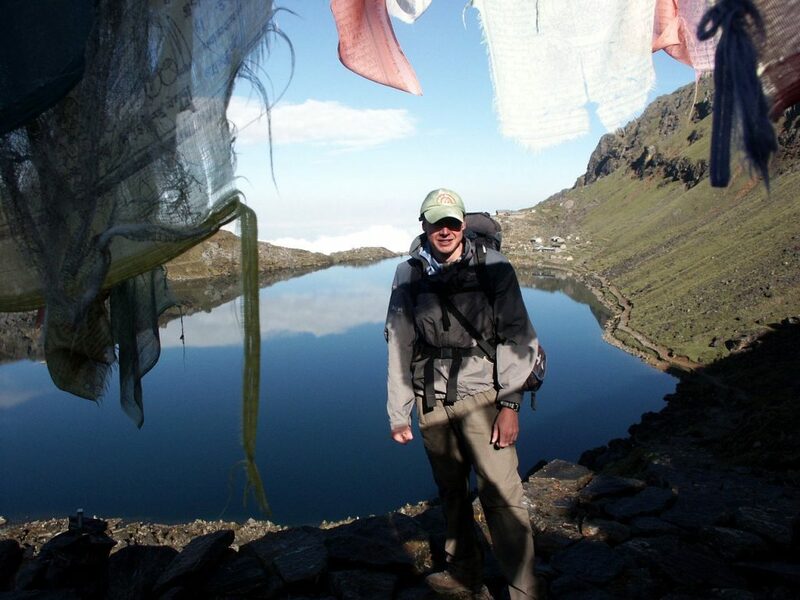 Two years ago, the Langtang Valley was the scene of a great tragedy. 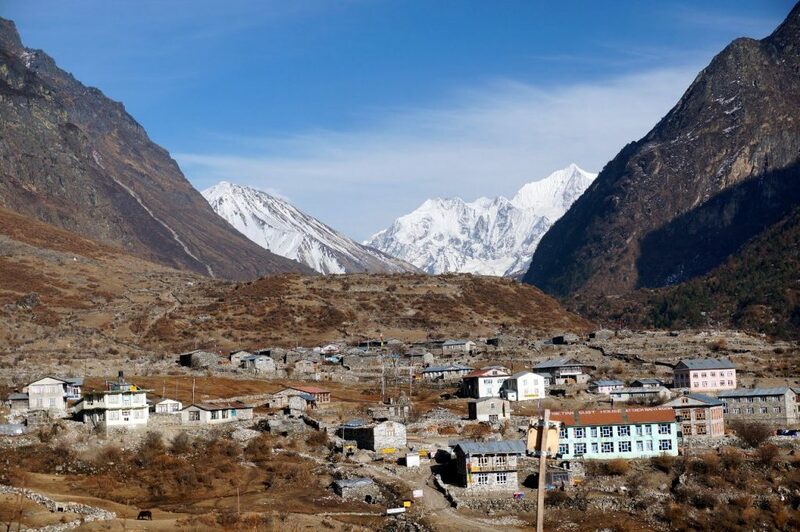 Langtang village lies directly beneath 7,227m Langtang Lirung, the highest mountain in the region. The narrow valley witnesses many avalanches on the surrounding mountains, but usually they are no cause for alarm, because the village is situated far from the danger zone. But when a 7.8-magnitude earthquake shook Nepal at 11.56am on Saturday, 25 April 2015, it caused the vertical south-west face of Langtang Lirung to shed its entire glacier, depositing around 40 million tons of ice and rocks into the valley below. Langtang village, which has a number of tourist lodges, was wiped out. More than 300 people lost their lives, including over 200 local residents and about 80 foreign tourists. More than 100 bodies were never recovered from the wreckage. With trails destroyed the valley was cut off from the outside world, and as aftershocks continued to rock the valley, triggering further avalanches, hundreds of survivors were trapped until they could be evacuated by helicopter four days later. Travelling to Langtang is likely to be a poignant experience for Edita. She was at Everest Base Camp when the same earthquake struck, and experienced a chillingly similar chain of events. After waiting out the initial tremor inside the dining tent, she emerged to see a huge avalanche coming down from Pumori, one of the surrounding peaks. Under normal circumstances Everest Base Camp is a haven of safety, but not that day. The earthquake shook so much rock and ice off Pumori that the central part of Base Camp was flattened, and 19 people died. Edita also had to wait five days before she could be evacuated, and like in the Langtang Valley, aftershocks and avalanches were constant. Nobody knew if the next one would be their last. Earthquakes seem to have become a theme of our lives since then. Edita stayed in Nepal for two months after the 2015 quake, helping the World Food Programme (WFP) with their emergency response. Last year she was mountaineering in Ecuador when another 7.8-magnitude earthquake struck. Once again she stayed in the country to help WFP with their response. On both occasions she experienced many aftershocks. Until recently I was an earthquake virgin. I do remember feeling a minor tremor while I was sitting in a house in Nottingham a few years ago, but the UK is far from any plate boundaries, and that shake was so small that it’s hardly worth mentioning. But this last year I’ve been working in Rome, during a period when there have been many earthquakes in the nearby Apennines. I’ve sat in bed watching the walls shake pictures like a pendulum, and back in January I felt four earthquakes in a single day. One was sufficiently violent that we were told to evacuate the office, and spent twenty minutes waiting outside in the car park while the building was inspected for damage. Despite these experiences, I do not feel nervous about travelling to Langtang. The Himalayas are one huge earthquake zone. The risk at any place, any moment, is always there, and when you are surrounded by mountains, there is the additional hazard of avalanches. But I have been travelling to the Himalayas for years, and while I know the risk exists, I also know that it’s small. I lived in London for twenty years, where there was always a small risk of a traffic accident every day. You can’t live your life worrying about these things. If I had never visited the Himalayas because of the risk of earthquakes and avalanches, I would have missed out on so many of my happiest memories. Langtang was one of the first parts of Nepal to be explored by a western tourist, when the great mountain explorer Bill Tilman travelled there in 1949. I enjoyed my first visit to the region ten years ago with two Nepali friends Siling and Maila, which I wrote about it my diary Tigers and Tamangs. We were carrying out a reconnaissance of the newly opened Tamang Heritage Trail, west of the main Langtang Valley, for Siling’s trekking company. It was an area of rolling green hills and forests, with only distant glimpses of the towering snowcaps. The tourist infrastructure was underdeveloped at the time and teahouses were very basic, but it was an enjoyable experience. We returned across the high mountain lakes of Gosainkund, crossed a high pass, the Laurebinayak La, and walked back to Kathmandu through Helambu. The monsoon broke the day after we crossed the pass, and my abiding memories of that section were heavy rain and, above all, leeches. We will be walking it in the opposite direction this time, starting from Kathmandu and walking north. It will almost certainly be drier, and I hope we will get the views I missed out on in 2007. After crossing the Laurebinayak La and passing Gosainkund again, we will turn east for what will be my first visit to the main Langtang Valley. Regular visitors to Nepal will not be surprised to learn that despite suffering such a devastating natural disaster, the tourism infrastructure in the Langtang Valley has regenerated quickly. Trails were soon rebuilt or diverted, and teahouses erected. Within a year of the tragedy there were enough teahouses open in the villages for trekking agencies to resume trips, including two teahouses in Langtang village. Although I’m expecting our trek through the Langtang Valley to feel as normal as any other Nepalese teahouse trek, you don’t clear up a rock avalanche easily, and I’m sure there will still be many signs of total devastation. I don’t really know what I will see in Langtang village itself, but it’s likely there will be a lot of debris to cross, and ruined stone buildings all around. Beyond the trekking we have several mountaineering objectives planned, and hope to climb two or three smaller peaks if we have time. The most popular trekking peaks in the Langtang region are Naya Kang (5,844m) and Yala Peak (5,520m), and we hope to climb both. 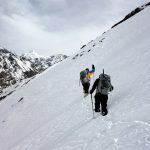 With a couple of spare days in our itinerary Jamie McGuinness of Project Himalaya has been helping us to find a third peak to climb. 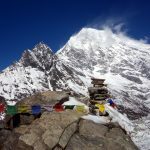 Nepal’s Ministry of Tourism have recently changed the regulations, and it’s now permissible to climb any peak under 5,800m without a permit. This means Yala Peak is no longer listed as a Nepal Mountaineering Association (NMA) trekking peak, and a number of other options are open to us. Another peak called Yubra Himal (6,035m) appears on the NMA list, but nobody (and remarkably, not even peak guru Jamie) seemed to know anything about it. The reason was revealed in this trip report by a couple of Korean mountaineers. Its long 70 degree ice slopes hardly make it a good candidate for a trekking peak, so we crossed it off our list. There are two more likely candidates close to the Ganja La, which we’ll be crossing when we climb Naya Kang. The name Ganja, incidently, is not a reference to the local herb – Ganja, Ganga, Gang, Kang, etc. are all variant spellings of the Tibetan word for a mountain. Naya Kang itself is sometimes known as Ganjala Chuli. 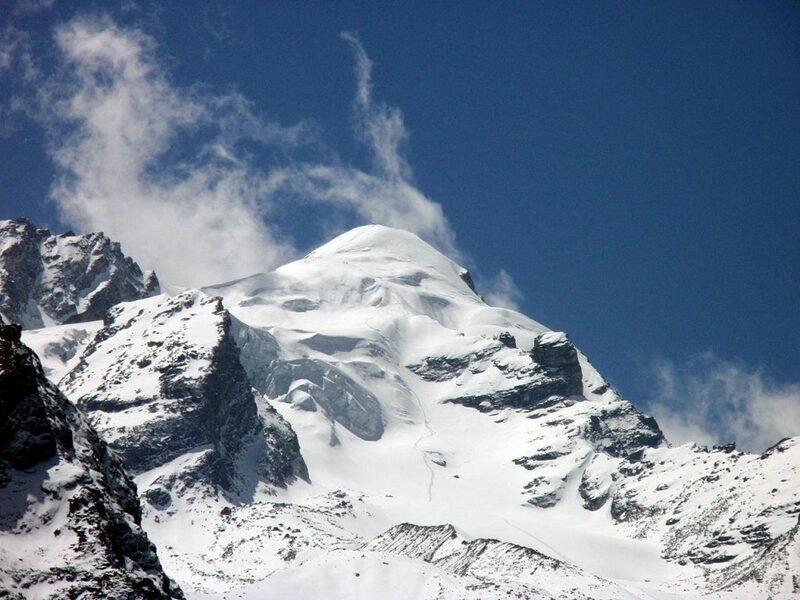 It rises directly west of the Ganja La, and there is a smaller 5,652m mountain east of the pass known as Ganja La Peak which looks feasible for a man of my underwhelming climbing ability. We’ve also obtained a permit for another peak west of Naya Kang with the curious name of Baden Powell Scout Peak (5,825m). I’m not sure whether the founder of the Boy Scout movement ever visited Nepal, but I will make sure I pack of pair of green shorts and a woggle in case we decide to climb it. Our itinerary is tight, and time will tell whether we are able to squeeze in a third peak, but it doesn’t matter. It’s been more than two years since my last visit to Nepal, and these kind of trips that combine a long trek with one or two easy climbing objectives are probably my favourite holidays of all. I will never tire of trekking in Nepal, and I am long overdue a visit to one of the country’s best-known valleys. 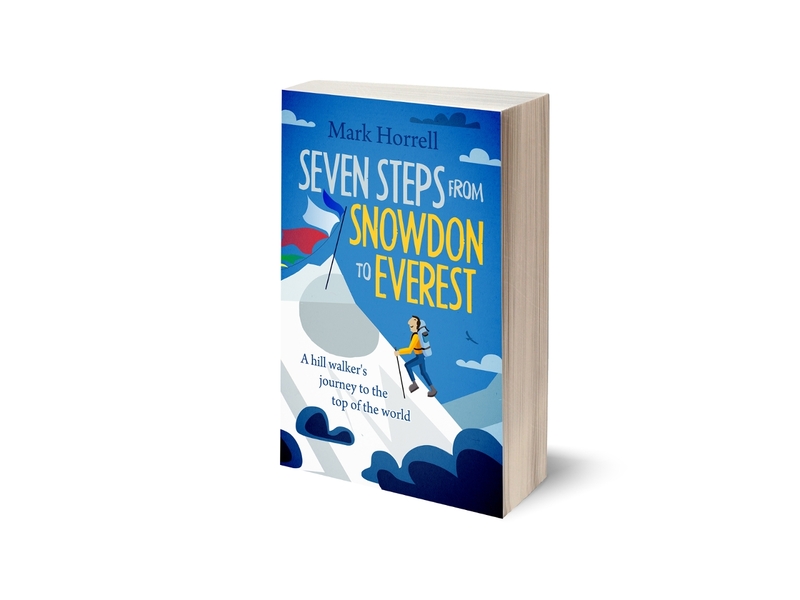 Have an enjoyable – and safe – trip Mark. I trekked from Helambu to Langtang back in 2009 and had a wonderful trip, stopping in a lovely place in Langtang village (which I imagine is sadly no longer there). Helambu very untouristy from my recollection, and I didn’t see another trekker for 3 days! I hope your ascents are successful – looking forward to seeing lots of great photos on your return 🙂 Matt. Thanks for visiting and promoting Langtang valley after earthquake, it helps other travelers to prepare mentally to go to to the Langtang area, Beautiful collection about trekking holidays in Nepal Himalayas with pictures. 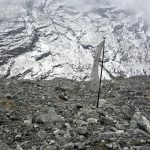 I did The Langtang in Helambu solo back in 1998 and was looking for some info on how the valley had recovered, so thanks for posting this. Obviously when I did the trek back in 98 it was a little different – indeed, trekking solo was still allowed and Langtang village was functional – but nowhere near as large. I was thinking about heading back in October this year – thanks for the article! 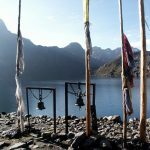 Can I do the Langtang trek crossing Ganja La Pass without a guide?